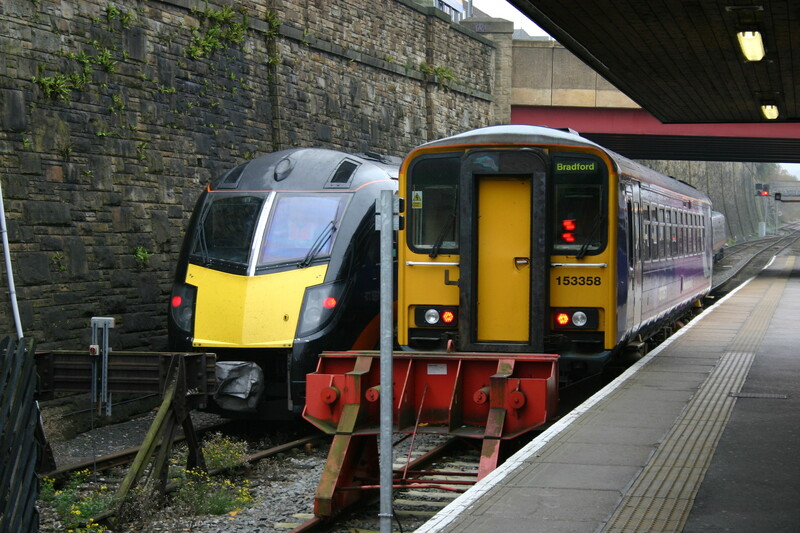 Both reports call for the council to investigate protecting the route of the railway, calls for the council to lobby for better rail in Bradford and for a quick, fast and efficient link to any future HS2 station. 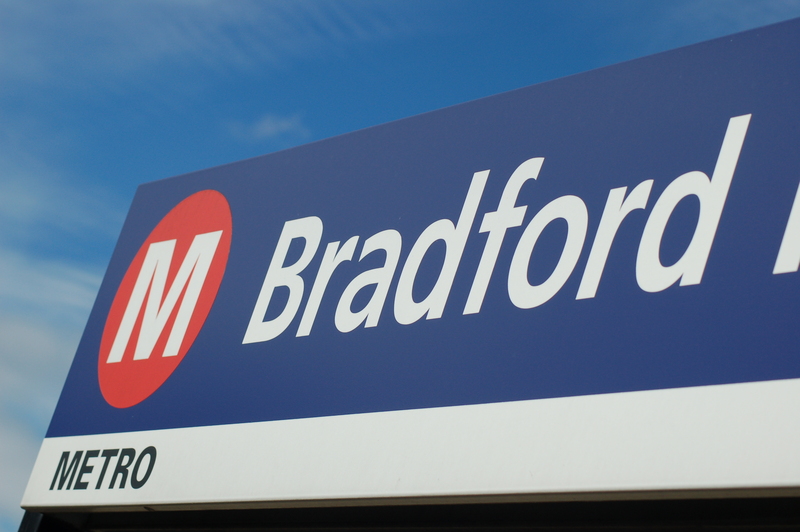 We know Westfield is major stumbling block, but CrossRail IS the opportunity to get Bradford’s economy back “on-track”. Thanks must go to all members of the Cross Rail working group (and their families) for the hours that have gone into campaigning for the link and preparing the reports. 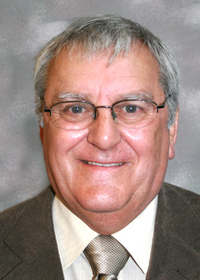 BRUG’s next meeting (6th June 2011) we will be discussing Sir Roy McNulty’s review into Rail Value for Money. The full report is available here, and the summary here. The meeting will also discuss the recent announcement of extra carriages on the Caldervale line and Airedale lines. A brief update on the Cross Rail project will also be provided. 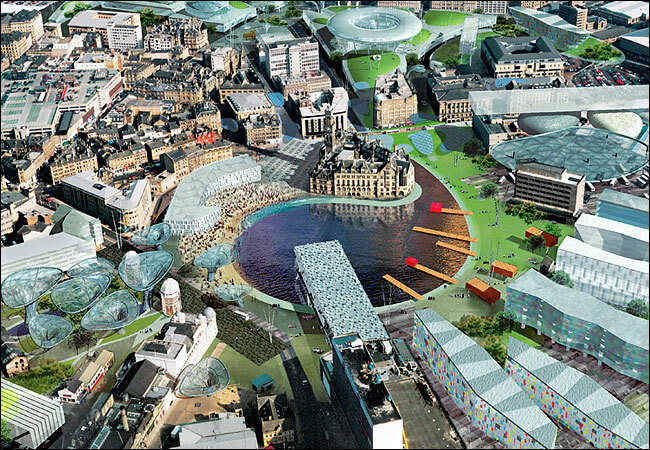 An unusual view of Bradford – the potential for Cross Rail. BRUG Chairman James Vasey met with UKIP Candidate Jason Smith in the Urban Garden (Westfield development site) on Friday evening to discuss plans to develop a rail link across the city. Mr Smith was impressed by the Cross Rail vision which would help revive the city centre as a cultural tourist destination and attract new businesses to the lower Broadway and little Germany quarter of the city. BRUG discussed Bradford Council’s current plans to move the existing Magistrates court next to the current Crown Court, which would impede the building of the line. The Odeon was discussed as a possible site for the Magistrates court. During our tour of the city centre we discussed the number of vacant properties between the Urban Gardens and the “mirror pool“, BRUG pointed out this would become the main thoroughfare from a central Bradford station direct to the mirror pool area, and the regeneration benefits this would have upon this part of the city. Mr Smith discussed UKIP’s plans for Bradford, supporting strong improvements in public transport and making the best use of the existing buildings in Bradford, rather than the council building new buildings at public expense. Jason Smith is standing for election in the Queensbury ward, a full list of candidates is available from here. BRUG would like to speak to representatives from all political parties before the local elections. Magistrates Court knocked back, Cross Rail On-Track! Bradford’s Magistrates court move has been knocked back by the Regional Growth Fund. This means that the Cross Rail route is still safe. We do not understand why the council are so wedded to the idea of moving the Magistrates court to be located directly next to the Crown Court. What costs will be reduced? We already have a number of empty buildings in the city that are need of renovation, that are already in public ownership, surely it would be cheaper to renovate those (Can anyone think of a site near the existing Magistrates that is need of renovation?). Why not renovate one of the most outstanding buildings and put the Magistrates Court into the Odeon? – It is a sensible use of an old building. Some people may even see the irony of the plan. 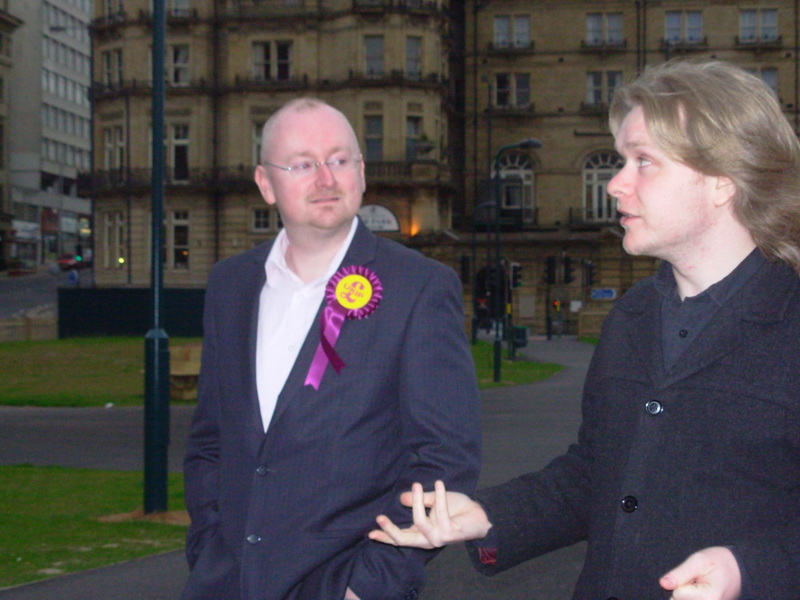 We need to spend this election season convincing prospective councillors of the benefits of Bradford CrossRail. A regeneration project in Bradford that can provide employment in the city and access to employment across Yorkshire. We will be speaker to prospective councillors in Bradford to ascertain their views. Filed under: CrossRail - X-Rail |	Comments Off on Magistrates Court knocked back, Cross Rail On-Track!